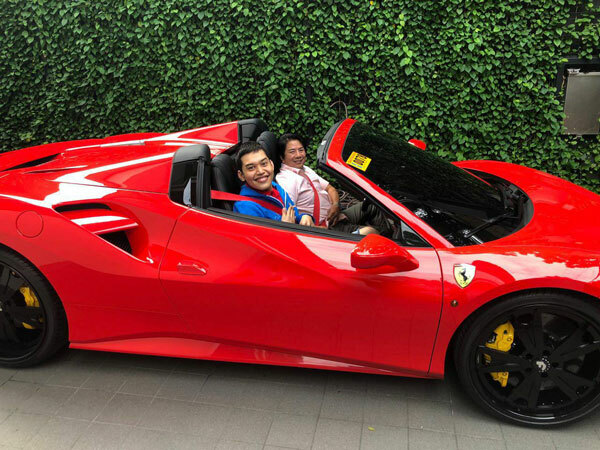 Willie Revillame's Ferrari 458 Spider has an estimated price range of PHP25 million up to PHP27 million. 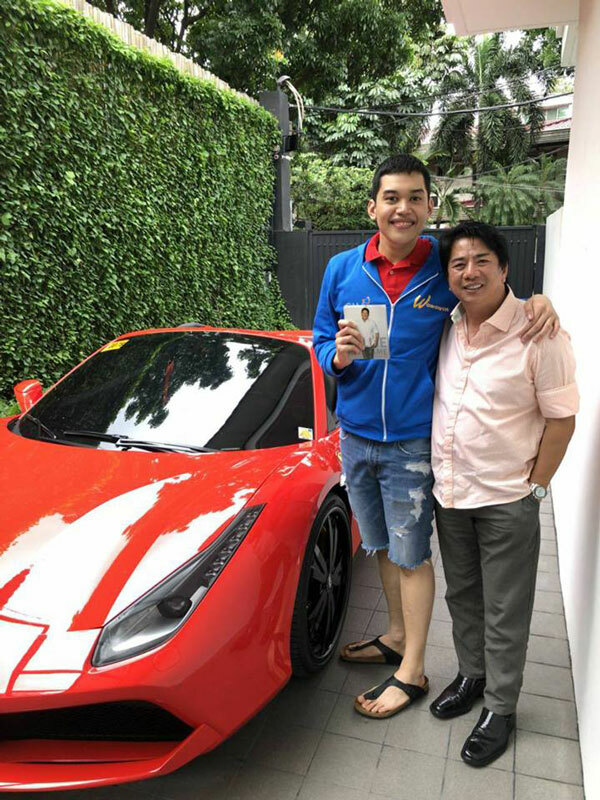 Early today, July 23, Willie Revillame gave Kris Aquino's son Josh a surprise visit at the actress-host's home in Quezon City. 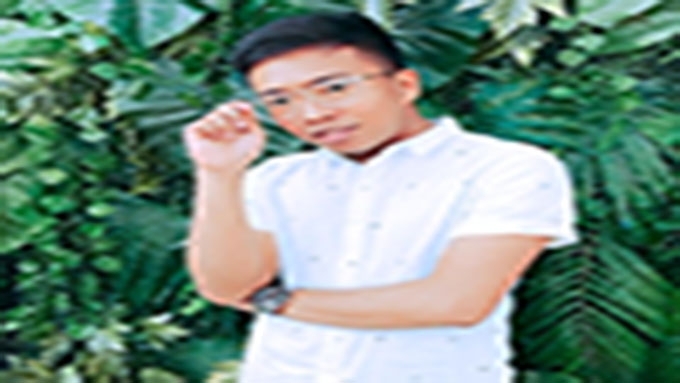 The 57-year-old Wowowin host wanted to see how Josh was doing after he was discharged from St. Luke's Medical Center - Global City due to "Erosive Esophagitis due to severe acid reflux and ulcers." It could also be recalled that Kris revealed in an Instagram post that Willie's hit song "Ikaw Na Nga" is among Josh's favorite songs. Kris's caption read, "Pasensiya na kung 'weird' kami—pero intindihin niyo po na laking Lola ang panganay ko... Handog ng Pilipino, Lupang Hinirang, Ako ay Pilipino, at Magkaisa (and Pusong Bato & Willie’s IKAW NA NGA) are all part of his playlist." "Thank you to Willie Revillame for the effort to make our kuya josh feel genuine HAPPINESS. #ichooselove"
Josh also received a jacket from Willie and copies of his album. But his biggest surprise was when he was invited by the Kapuso host to ride his Ferrari 453 Spider sports car. Willie first shared some details about his red sports car in YES! magazine's June 2015 issue. Christopher Castillo, Willie's long-time driver, then revealed that his boss didn't want others drive his luxury cars. "Ayaw niyang ipagamit talaga 'yang mga 'yan sa iba. Ako lang nakakagalaw sa kanila, bukod ay Kuya Willie. "Mahilig siya sa mga sports cars, pero tinatamad siya mag-drive. Hindi na raw kasi siya bagets. Haha! "Hindi rin naman siya nangongolekta ng auto, pero mahilig siya sa mga top-of-the-line na mga auto. "Maski magkano, basta gusto niya 'yong auto, bibilhin niya." 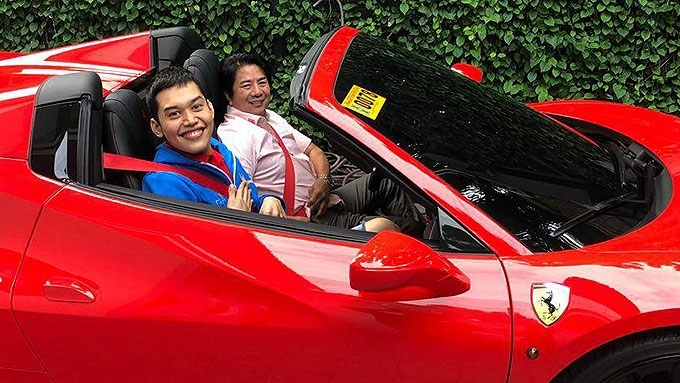 According to Top Gear Philippines, the price of Willie's car is available upon request, but its estimated value probably ranges from PHP25 million to PHP27 million at the time it was purchased.